M R Crane Service A latest & advanced technology cranes company. With the many years of growth and investment M R Cranes is today the largest Crane Hirer in the Bangalore & Karnataka. Operating from a national network of depots, our extensive hire fleet of all terrain mobile telescopic cranes are the most modern and comprehensive available. 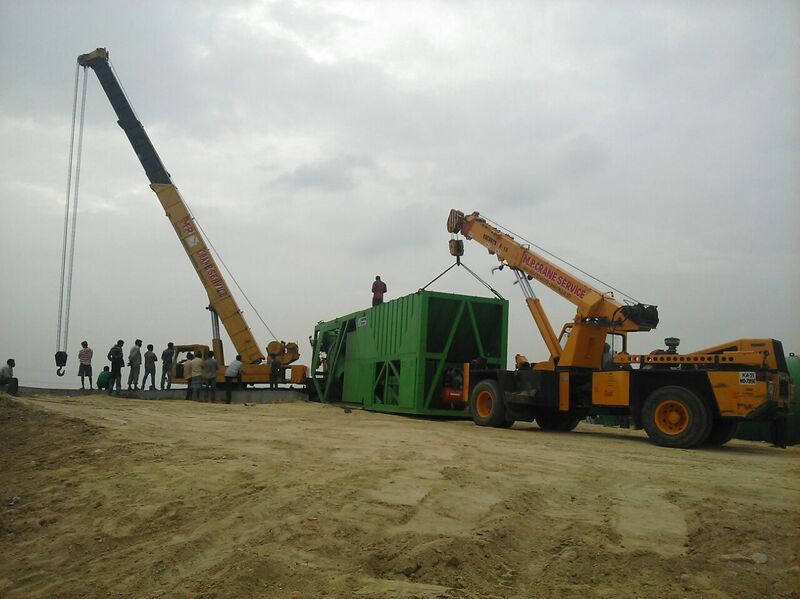 Specializing in mobile Crane hire from 20 to 500 tons in capacity all of our cranes are manned by operators who are trained to the highest standards within the industry. At M R Cranes we have made the safety of our customers, employees and the public our main priority. In these competitive times we are totally committed to continue to invest and set new leading standards of safety. This is in addition to our commitment to provide you the hirer with the ultimate in customer service. To place your order contact below given Numbers any one of our marketing member of our team will be pleased to deal with your enquiry.